EnerNOC is the latest demand management company to change its business strategy due to the difficulties of selling software to utilities. 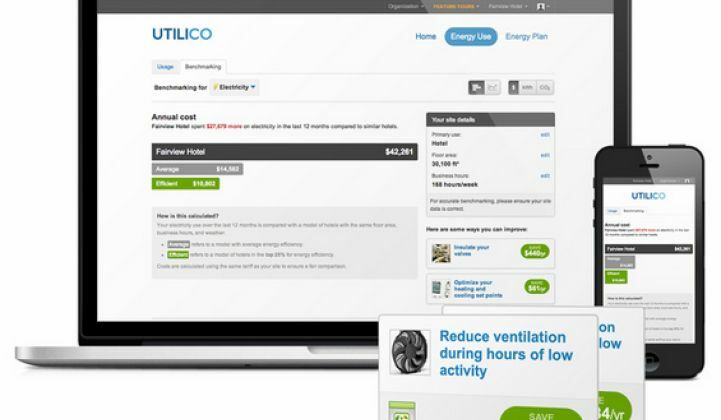 According to CEO Tim Healy, EnerNOC is planning to sell its utility engagement software business in order to focus on growing its core demand response business and expanding its enterprise software platform. Most of EnerNOC’s business is in demand response, and the utility demand response part of the business will remain intact. The enterprise software division makes up about 20 percent of the business. EnerNOC developed its utility engagement software after acquiring Pulse Energy in late 2014. Helping utility clients better engage with their commercial customers seemed like a natural fit, but sales cycles were slow. With growth in the demand response and enterprise software business, Healy said there were not adequate resources to support the engagement business. Selling the enterprise EIS software directly to C&I customers is a much faster process. The utility-facing engagement software will be better served with a company that sells software to utilities, added Healy. EnerNOC’s shift is the latest example of how hard it is to sell software to slow-moving utilities. Earlier this month, Oracle bought Opower for $532 million; it will be integrated into Oracle's utility software business. Opower's client list includes some of the biggest utilities in North America, yet closing new utility customers had been challenging. “It's no secret that utility sales cycles can be very cumbersome. In fact, for some solution providers, lack of clarity on internal review processes and deployment timelines can aggravate a business's ability to effectively plan for the long term,” said Steve Propper, director of grid edge at GTM Research. "The hope is some of the new market-based regulatory constructs proposed in more forward-looking jurisdictions will provide some relief in this regard." Software isn't the only product that's tough to sell to regulated utilities. Meter manufacturer Sensus is reportedly up for sale, according to Reuters. The company took a hit after smart meter sales slumped in the U.S. and in Europe. General Electric also sold its metering business to Aclara in 2015, even though it was on the verge of closing the single largest metering deal in North America since the stimulus package. Many software companies, especially those with customer engagement solutions, are targeting the deregulated market, especially in Europe. EnerNOC will continue to support the utility engagement business until it finds a buyer, said Healy. There are about 100 people in the business unit, nearly half of which were laid off. According to the 8-K filing, up to 5 percent of the workforce could be eliminated. This is the first time that a divestiture by EnerNOC has resulted in layoffs. Despite the divestiture, Healy said “it feels like there are a lot of tail winds,” given the growth in the enterprise business and the steady increase in demand response globally.